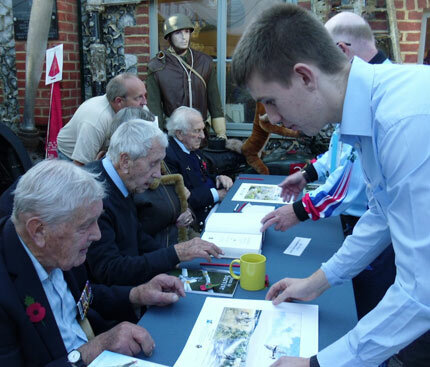 On Sunday 1st November 2015, the Museum was proud and pleased to welcome Squadron Leader Tony Pickering (32 & 501 Sqn’s during the Battle of Britain), Sqn Ldr Allan Scott DFM (1435 Sqn, Malta) and Flight Lieutenant Rodney Scrase DFC (72 Sqn, North Africa, Sicily and Italy). 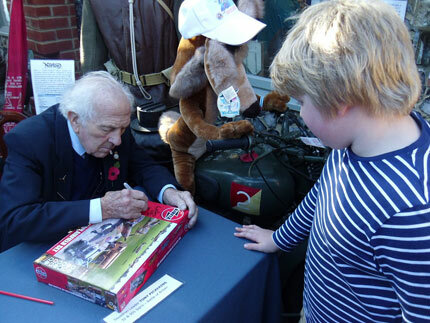 We can’t thank these wonderful gentlemen enough for visiting Shoreham to meet ‘fans’ both young and old and help raise monies for Museum projects. Thank you too to everyone who came along to support this event and show their appreciation for the service Tony, Allan and Rodney gave for our freedoms. You are currently browsing the Shoreham Aircraft Museum – News archives for November, 2015.